Sonja Riesterer, a Certified Magento Solution Specialist and Magento Master 2017! Magenticians is back with another Magento maverick and this time we have the beautiful Magento lady, Sonja Riesterer. She is a Magento Master 2017 and a Certified Magento Solution Specialist. She is currently working as a Marketing Manager at integer_net. Here’s my interview with her! Muneeb: Sonja, it’s great to have you here with us today. Please tell our readers a bit about yourself? Sonja: My name is Sonja Riesterer, and I’m the marketing manager at integer_net. I’ve studied English, American culture, and business studies, and 19th century English novels are my favorites. Even though I live in Germany, a country known for its automobile industry, I don’t own a car, but I own two bikes. I lived in Wolverhampton in England and even several years later I miss the lady at the post office calling me “love”. Magento and I met in 2013. I was a sales/marketing manager at a solution integrator back then. Thanks to all the events – meetups, Meet Magento, hackathons, MageUnconference, community runs, Imagine – in just four years we grew very close. Muneeb: Being a Marketing Manager at integer_net GmbH, what were some of the major challenges you had to face during your career and how did you solve them? Sonja: There is never enough time to do everything you want to do. Plus, the digital world evolves so quickly it’s hard to keep up. At some point, I just had to accept a good 80% done in time and let go of my own expectations of achieving 100%. Still, the first aim is always at 100%. The perfectionist never dies. Muneeb: Since you are a certified Magento Solution Specialist, what advice would you give to newbies who want to become certified. Sonja: At least for Magento 1 certifications you can find a ton of information out there. Start with official information from Magento and move to community resources afterward. 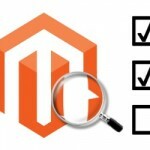 If you have worked with Magento’s admin panel for some time and brushed up your knowledge to match the official exam guide, you should be fine. The Magento 2 Solution Specialist certification will probably be available this summer. They will be a different story: less experience with Magento 2 and fewer resources available online. I’m looking forward to that challenge. Muneeb: You have been honored with the Magento Master Makers 2017 award. Please share this achievement with our readers. Sonja: When I first received the message, I was surprised. And the next moment, I felt like others deserved it more than I did. Those who have contributed to the lively Magento ecosystem for years with their advice and working solutions have saved others a lot of time. The Magento Masters are selected for each year, so some of the contributions that help us today and were made in the past and cannot be recognized in the selection of Magento Masters. We should therefore all try to show our appreciation for everyone’s input that supports our day to day work. Muneeb: There are a lot of other ecommerce platforms available like WooCommerce and Prestashop. How do you differentiate Magento from other ecommerce platforms? Sonja: The biggest advantage of Magento is its flexibility. As voiced during the Magento Imagine, the aim of Magento is to be the last platform used by a merchant. To whatever size the business grows or how extraordinary its products or workflows are, Magento prepares to adapt. 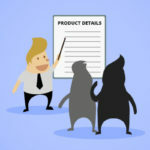 It’s certainly not as easy to get started as WooCommerce is, but then again WooCommerce has a different target group. Muneeb: How do you differentiate between Magento 1 and Magento 2? I’m not a developer so I limit myself here to the aspects I can assess. 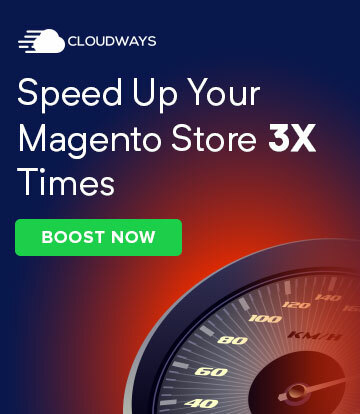 The recent acquisitions of Magento Inc. are promising, for e.g., BlueFoot CMS and the new business intelligence features. All features and technology stack changes aside, Magento 2 is the embodiment of Magento’s transformation to a corporation that cooperates with the community. Think of pull requests, the Magento community engineering team and “the chosen few” aka gatekeepers within the community that are able to merge pull requests. 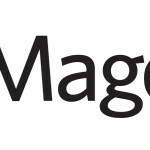 As a separate company, Magento finally taps the power of the Magento community. 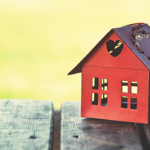 Muneeb: What advice would you give to merchants about moving to Magento? Sonja: Anyone moving to a new platform should be aware of its pros and cons as well as available alternatives. For many merchants, Magento is a good fit. But it’s definitely not suitable for all. So before you make a decision you should be confident that it’s the right choice for your business. 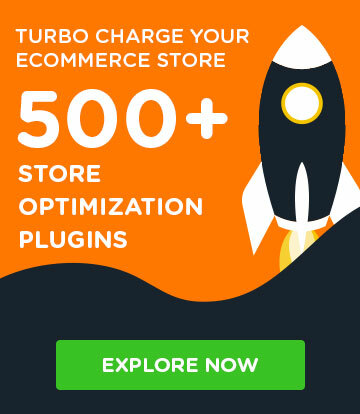 Unfortunately, some merchants are attracted to Magento Community Edition as it’s free and they expect to pay little to nothing for a whole shop project. That’s not how it works. There is always individual work to be done, for the usual setup, extending functionalities, updates, patches, maintenance, and security. Keep that in mind and you can build something great with Magento. Muneeb: Do you attend Magento Community events? Who are the people in Magento community that have inspired you the most? Sonja: If time, money, and energy were unlimited, you could find me at each and every Magento event. In fact, I don’t limit myself to attendance. Organizing an event is great fun, too, especially with a crew like we have it at MageUnconference. Usually, I attend the events in Western Europe, but this year I had the chance to go to Imagine. It’s nothing like the humble European events. Imagine is a well-rehearsed show – never before have I felt the urge to dance before the morning keynote started. Even though there are plenty of sessions, the “hallway track” is the most important part in my opinion. At the first Meet Magento I attended, I met Rico Neitzel. Along with my boss at that time, Benjamin Wunderlich, he has been my mentor, encouraging me to aim higher and dare to ask the most ridiculous questions. At MageTitansIT it was Alessandro Ronchi who gave me some great advice on how to tackle the stages of the Magento events. After writing the blog post on the open and approachable community, I received a lot of feedback. One of the views that challenged my views the most was Thomas Goletz’ input that there is no one Magento community but there is a myriad of communities out there, each with a different understanding of the Magento ecosystem. I haven’t yet met them all, which makes me even more curious to attend Magento events outside my usual realm. Muneeb: What do you like the most about your job? 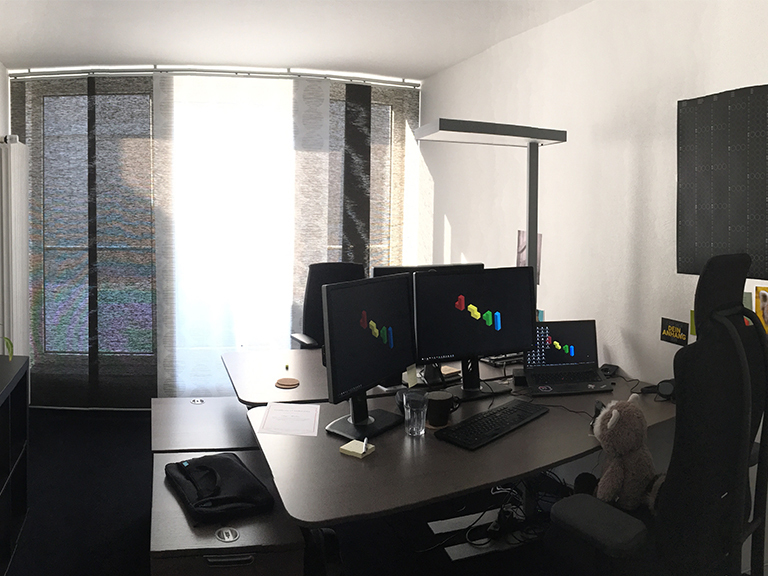 What makes your office so special for you and can you share a picture of your workplace with our readers? Sonja: I love everything about it. The team spirit, the atmosphere in our office, and my tasks. There is a positive vibe and a mutual respect among all team members. In my job as a marketing manager, I enjoy a lot of freedom. I feel like I’m free to set my own goals and follow my interests – as long as I do something that helps the company. Muneeb: Let’s talk a little about your personal life. Do you like playing games or spending time with family? While typing this, I’m on my way home to Aachen after spending almost a week with my family. Just talking about life, playing cardboard games and eating lots. It’s good to be around people who have known you all your life and still like you. Muneeb: How do you spend your vacations? Do you love traveling? Please share your best traveling experience with our readers. Sonja: My vacations often are extended holidays at my parents’ place (like the last days) or a few extra days of sightseeing around Magento events. One of my best but also most exhausting travel experiences was an Interrail tour in Switzerland with my best friend when I was 19. The contrast of alpine sceneries with mountains, clear lakes, and forests are fascinating. Depending on where you are in Switzerland, it either feels similar to being in Italy, France or Germany. The diversity in such a comparably small country is stunning! Before heading to Magento Imagine I made a stopover in Iceland and a road trip from Denver to Las Vegas together with Andreas von Studnitz, Carmen Bremen, and Nikolai Krambrock. I love the thinly populated places on earth where you hear no sound from civilization. And there is a special charm in driving through snow in the morning, then arrive in a desert by lunch. My next vacation will be a 7 days biking tour with my dad along the river Elbe in Germany. You can never have enough quality time with your family. Wherever you go, make sure to go with people with whom you would like to share experiences. It makes it all so much better. Muneeb: Tell our readers about your daily routine and how you manage your work-life balance. Sonja: My daily commute is 10 km, either by bike or by bus. Usually, I’m at my desk by 8:30 am. By 5:30 pm I often leave the office to make it home in time for the evening program: ballroom dancing two to five times a week. It’s a new passion for me that got me hooked 1,5 years ago. When I’m on the dancefloor, the digital world is far away. There are so many details that keep my mind busy, e.g. the music, rhythm, my feet, posture, how I hold my hands – it’s a kind of concentration that is focussed on that very moment. It keeps me sane and happy. Unfortunately, dancing doesn’t help with the household chores. Home office days can take the edge of a rough week. Muneeb: Who would you like to be interviewed next on Magenticians? You can recommend your friends or people who have notable contributions to the Magento Community. Sonja: I would like to see Andra Lungu fill out the questionnaire. We have met at several Magento events, but there is never enough time to talk. She is one of the kindest souls I have ever met and an awesome contributor to the community, coder, as well as full to the brim with soft skills.